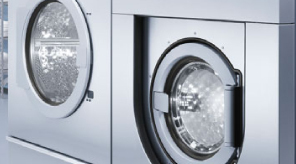 As an Authorised Miele Professional Approved Partner for commercial laundry sales and service, Stellisons Commercial are proud to be one of the leading suppliers of commercial washing machines, commercial tumble dryers and commercial dishwashers across Essex, Suffolk and Kent. 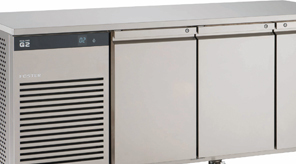 Our amazing commercial laundry and commercial dishwashing rental packages are designed to save you both time and money with the very best commercial appliances tailored to your business needs. 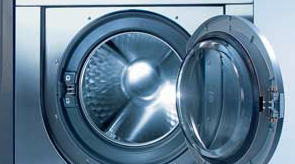 Whether you’re looking for commercial washing machine rental, tumble dryer rental, or anything else – we offer an unparalleled service that ensures you are never without a machine. 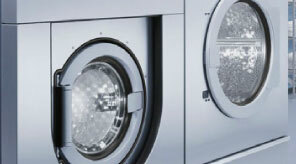 As an approved Miele Professional Approved Partner we are more than competitive on Miele Commercial Washing Machines, Miele Commercial Tumble Dryers, Miele Commercial Ironers and Miele Commercial Freshwater Dishwashers. Added to that, we have partnered up with Smeg to offer fantastic deals on Smeg tank dishwashing equipment too. These will be coming to our website soon, but in the meantime give us a call to see what amazing deals we can offer you. To ensure a complete service we offer the supply and maintenance of the very best, and most cost-effective, laundry detergents and dosing pumps. 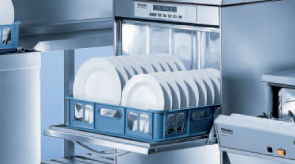 Our experience ensures you have the right detergents for your commercial washing machines and commercial dishwashers. 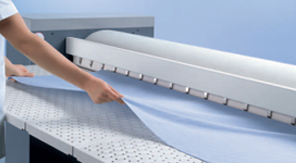 Add coin operated systems and you will have everything you need for a fully automated commercial laundry system. Stellisons Commercial are pleased to offer outstanding Ex-Rental, short lease commercial laundry and dishwashing packages designed to save you money. Our fully maintained commercial washing machines, commercial tumble dryers and commercial dishwashers are now available at cut-down costs together with outstanding support contracts. Whatever your commercial Laundry or Dishwashing needs, our fully trained and experienced customer service team are on hand to offer the very best packages to suit you and your business. We can arrange to organise a professional site survey for you today, to see just how much you could save. Call 01268638060 to speak with one of our advisers or contact us to discuss your needs. If you’re setting up a new launderette, or you’re looking to upgrade your current launderette – you are going to love the Miele Professional range of Commercial Washing Machines.